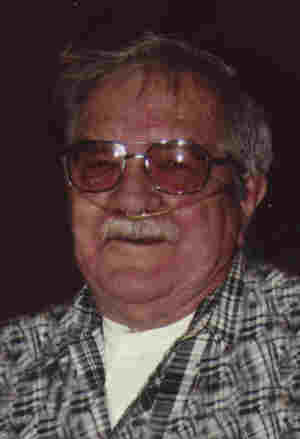 Lester Forrest Pulju, age 70, of Dundas, died on Saturday, December 15, 2007 at the Northfield Hospital. A memorial visitation will be held in the Boldt Funeral Home, Faribault, on Thursday, December 20, 2007 from 4 to 7 p.m. with a prayer service held at 7 p.m. in the funeral home. Lester, the son of Waino and Ruth (Anhorn) Pulju was born on October 29, 1937 in Walcott Township. The family later moved to Dundas. Lester graduated from the Northfield High School in 1956 and then served in the U. S. Army. He married Bernice Janda in 1962 and later they were divorced. He was formerly employed the Northfield News, and by Montgomery Wards and Japs Olsen Printing both of Minneapolis. He moved to Livingston, Montana and was employed by Rocky Mountain Printing before returning to Dundas to be with his family. Lester had a great sense of humor, he loved to joke and laugh. He enjoyed cooking and throwing darts. Lester was a cowboy and mountain man at heart, he treasured the “West” and was a rock and mineral collector. He is survived by his mother, Ruth of Dundas; two sons, Corwyn (and JoAnn) Pulju of Northfield and Michael (and Laura) Pulju of Minnetonka; two grandchildren, Nicole (and Tyler) Thompson of Northfield and Rebecca Pulju of Northfield; two brothers, Phillip (and Delores) Pulju and George (and Pearl) Pulju all of St. Paul; two sisters, Hazel (and Lewis) Schwanke of Nerstrand and Dorothy (and Keith) DeMell of Ft. Collins, Colorado; many nieces, nephews and other relatives and friends. He was preceded in death by his father, Waino; one brother, Milford; and his fiancée Patricia Miller.